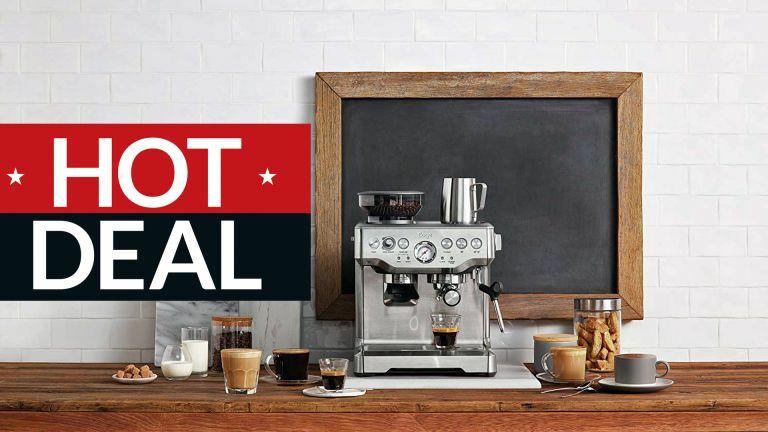 The 2019 Amazon Spring Sale already feels like it's been going on forever and we're feeling ever so tired and could really use a coffee, perhaps made using one of the best bean to cup coffee machines you can buy. Or perhaps, because we're in a hurry, from a Nespresso machine with built-in milk texturing unit. Oh wait, wow, what's this? The Spring Sale runs until midnight Monday 15 April. A good quality coffee bean grinder sat on top of an excellent espresso machine, Barista Express is suitable both for those who want high quality coffee with only a minimal amount of effort (you will need to manually tamp the ground coffee – just like a real barista! – and froth the milk in a jug – just like a real barista, again! – but the machine will handle the actual skilled part of coffee making, so you don't need to spend 7 years learning how to be an actual real barista. Those who want to get more creative can get busy with the manual settings, however. • You might also want to consider this nearly half-price De'Longhi bean-to-cup coffee machine deal, although we rate the Sage more highly, to be honest.